In our blog about car transport tips for January, we noted that toward the end of the month the mad rush to warm weather states such as Florida, California, Texas and Arizona have waned. Most everybody finally reached where they were going, some with trials and tribulations, and the auto transport system had equalized by the end of January with shipping prices returning to parity. Most of February is a replica of the end of January. There is no spike in demand for the car shipping industry in February. Customer demand for auto shipping services is mainly a flatline from late January through mid February, with only a modest uptick after President’s Day Weekend that extends to the end of the month. That is good news for vehicle transport customers! Prices for vehicle shipments mostly hold steady in February as the supply of auto shippers out pace the demand for services. It is generally a good time to ship a car. There is slight downward pressure on auto transport quotes, which our calculator adjusts nicely. However, there is one important caveat to all that, and Direct Express Auto Transport would be remiss not to address it here. 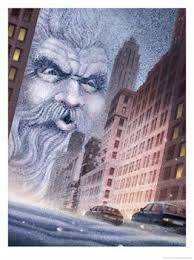 Old Man Winter! Yeah, that guy. Every year he is getting more and more cranky in February. The National Climatic Data Center reports that the changes to global weather is becoming more extreme with devastating consequences. What appears to be small deviations in temperature here and there can actually wreak havoc on the car shipping industry. Snow blizzards become more common and extreme in the upper Midwest and Eastern Seaboard states that serve to stymie auto transport shipments for a period of time. The colder temperatures accompanied by snow, sleet and ice are starting to impede upon the normally warmer Southern states, who are less prepared to deal with it. Global Warming is a real phenomenon to the car transport business. We see it in action as some North American regions are warmer and others colder. Global Warming is a bit of a misnomer, as it is really Global Climate Change, which is a result of slightly warmer global temperatures that have a boom-a-rang effect on Mother Earth. It is most noticeable in the winter and summer months because those seasons are at the extremes. NASA has a very informative site that explains it nicely. The respected journal Scientific American reports that 97% of scientists recognize Global Climate Change as a fact. Scientists are picky that way in so far as they believe in proven facts. If you see a politician pandering to the naysayers, feel free to regard that as nutty. Auto shippers know it’s real too because we have to deal with it every year. Global Climate Change is making it more difficult and expensive to ship a car to the colder weather states in February. The number and length of harsh winter storms are more pronounced. Auto shipping quotes and prices to the Rocky Mountains, Great Plains, Midwest, New England and Atlantic Seaboard states are pushed higher to entice more carriers into making a run into more frigid conditions. You gotta make it worth a fella’s while to stick his neck out. Given a choice between a vehicle shipping run in February from Pennsylvania to Arizona or Minnesota, which would you choose? Yeah, us too! So we have to spice up the auto transport quote calculator to states like Minnesota in the middle of the winter. We don’t make the rules, we just live by them. Direct Express Auto Transport originated the instant online car shipping rates calculator over ten years ago. Others have tried and failed to copy us. They all use the same third rate cookie cutter software that reportedly results in high cancelation rates. We have been told that our auto transport quote calculator is the most accurate and successful. Please give it a try here at the top of this page.